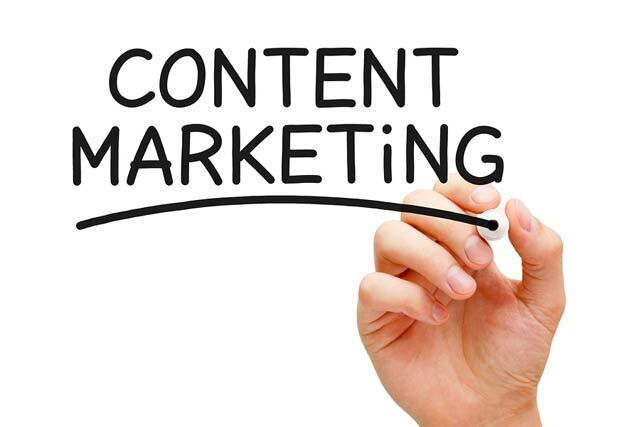 This is the first of a two-part series on content marketing. Your nonprofit has a problem. You’re trying to get people to volunteer their time and donate their money – but you can’t even get them to pay attention. You’re not alone. In the Internet age, nonprofits and businesses are all in the same boat. We’re not only competing with each other for people’s time and interest. We’re also competing with online games, viral videos, and cute cat photos. But what if you didn’t have to compete? What if, instead of your bidding for your supporters’ attention, they came looking for you? You can use content marketing to attract the people and funders whose support you want. Don’t let the term throw you. You’re already doing marketing any time you communicate with a specific group of people to move them toward taking an action you desire. And you’re producing content all the time. Not just when you write articles or snap photos. The Content Marketing Institute lists 26 ways to produce content, from research reports to online games. The key is to offer your audiences content that’s so good and so useful to them, they keep coming back for more – and telling their friends. How do you do that? Here are five steps to take. 1Commit to doing better. Most nonprofits are happy just to be producing content at all. As Kivi Leroux Miller tells us, it’s time to question that approach. 4Keep it exciting. Look for ways to give your audiences useful information in a variety of forms — written, visual, online, through social media. 5Promote it. Use every means you have to spread the word about your great content: word of mouth, public speaking, radio, TV. Newsletters, social media, your website. Link to it in the signature line of your emails. Find the hook so a local journalist turns it into a story. Be creative! Remember: people are busy. It’s so easy to delete your email, ignore your press release, toss that annual report or printed appeal letter into the recycling bin. Most people will do just that – if they see your outreach as just another claim upon their time. But content marketing can make them glad they found you, instead. Dennis Fischman helps organizations tell their stories, win friends and get support they need. Follow him on Twitter at @DennisFischman. This post first appeared on johnhaydon.com. Great tips, Dennis! A really great explanation in number two, also. I’ve heard “know your audience” a lot, but I think this is the first time I’ve ever heard that you should know them so well you recognize them on the street. The parable of the rabbi and the peasants is a great way to think about knowing your audience, too, it’s not just knowing what they like, it’s knowing what they don’t like, too. I find it really helpful to create a persona, or profile, of someone who represents the audience I’m trying to reach. I give them a name and a photo. I figure out the demographic groups they fit into. I find out about their interests, and last, I identify their preferred method of getting information. Then, we’re really talking!